We are totally unique in the world of training providers, because we are immersed in one of the world’s biggest media businesses, Bauer Media. Some of our famous brands include Grazia, heat, Empire, Absolute Radio and KISS – but we also have a network of stations like Radio City and Radio Clyde across the UK and a raft of specialist print titles, TV stations and events. Our ethos is ‘don’t just learn, do’ and our Apprenticeship programmes are delivered by our brilliant tutors, who are media, creative and digital industry experts. 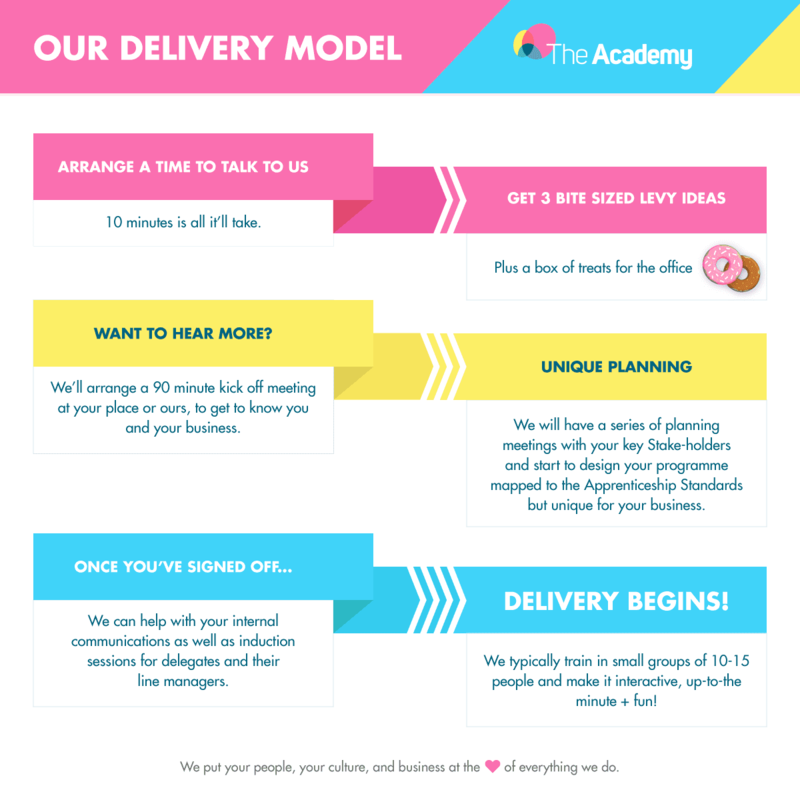 We know that engagement is key to success with any training programme, so we make ours interactive, up to the minute, and actually, fun! We have a dedicated Apprenticeship team who can take care of the tricky stuff involved in Apprenticeships and can help guide you and your delegates through their learning journeys. As you’d expect, we offer a range of creative and media-based Apprenticeship programmes (find out which ones), but we also deliver training for leadership, business administration, sales and public relations. Our Apprenticeship training can take place across the whole of England (we have over 20 locations), or at your place – whichever you prefer! And we don’t offer ‘off the shelf’ Apprenticeship programmes. We prefer to work with you to find out what makes your people and your business tick, and how you can use your levy to create something transformational. If you’re free for a quick chat, we’d love to talk some more.